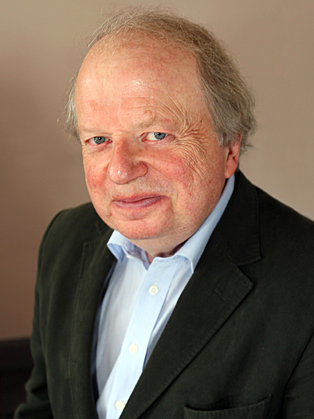 John Sergeant is probably best known for his role as the BBC's chief political correspondent, a position that he held from 1992-2000. John left the BBC to forward his career and joined ITV News. John was voted the Best Individual Television Contributor of the Year at the Voice of the Listener and Viewer Awards for 1999. John is a highly acclaimed corporate speaker, brilliant event host, challenging conference chair and excellent anecdotal after dinner speaker. Johns career with the BBC commenced in 1970 when he joined the corporation as a radio reporter in 1970 and covered stories in more than 25 countries. Subsequent to Johns war work John covered European Affairs for two years and the first sessions of the directly elected European Parliament. In 1981 John became a political correspondent for television and radio. He wrote and presented a BBC TV documentary series called The Europe We Joined. John has also, on occasions, presented the majority of current affairs programs on Radio 4, including Today and The World at One. In 1966, John was selected from the cast of the Oxford University comedy revue at the Edinburgh Festival by Alan Bennett to appear in the award-winning BBC TV comedy series On the Margin with Alan Bennett. Prior to this John had been accepted as a news trainee with Reuters but gave that up to work with Bennett. John returned to journalism the year after and spent three years as a reporter on the Liverpool Echo before coming to London to join the BBC in 1970. John Sergeant's career in light entertainment lay dormant for many years while he built up his profile as a serious political correspondent. Among his notable journalistic achievements was his encounter with Margaret Thatcher at the Paris Embassy days before she resigned as Prime Minister in 1990. The manner in which John was pushed aside by Lady Thatcher's press secretary, Sir Bernard Ingham, has become one of the most famous live broadcasts of recent times. Many saw it as a metaphor for the end of her regime. John won a British Press Guild Award for the Most Memorable Broadcast of the Year, beating the footballer, Paul Gascoigne who had been nominated for bursting into tears during a crucial match in Italy. Among John's major scoops was the only interview with the Welsh secretary, Ron Davies, after he was forced to resign over the incident on Clapham Common. John has frequently reported on Prime Ministerial visits abroad in countries including the United States, Japan, and India. John had another famous encounter with Margaret Thatcher in Moscow in 1987 when he suggested she had begun the election campaign. "I am serving my country," she snapped, suggesting that John was not. John's long dormant career in comedy was revived in 1998 when he appeared in an edition of Have I Got News For You on BBC 2. Ian Hislop said he had been one of the funniest guests in the history of the program. Other comedy successes followed, including a memorable encounter with Paul Merton in Room 101 on BBC2 where John listed his pet hates, including the BBC TV program, Casualty. John has been a guest on Radio 4s The News Quiz and many other programs including A Good Read. He has also presented Pick of the Year. Johns book, Give Me Ten Seconds (published by Macmillan), was described as "An all-time rip-roaring read" by the Independent on Sunday. Now a freelance journalist and broadcaster, John reports for BBC1's The One Show, has hosted Have I Got News For You?, and is a regular on many Radio 4 panel shows. John bravely defied his years when he became a hugely popular contestant on Strictly Come Dancing, with unexpected success.